Rajaa Mekouar-Schneider, President of LPEA and Paul Junck, Managing Director of LPEA. 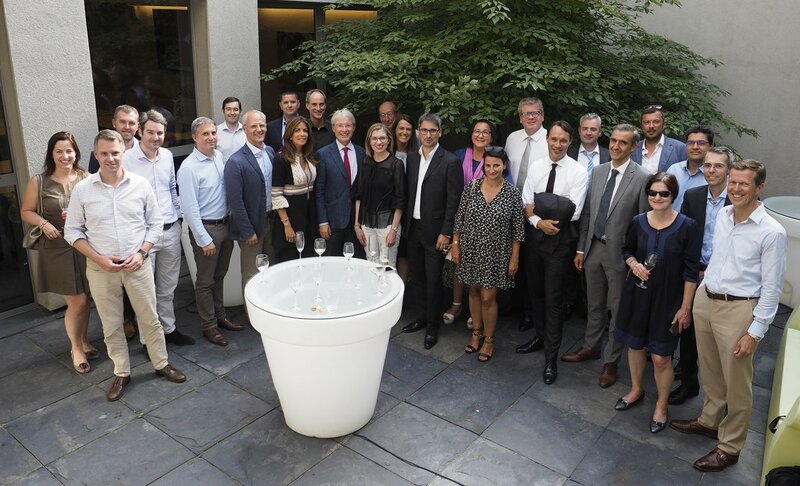 The Board of the Luxembourg Private Equity and Venture Capital Association (LPEA) elected Rajaa Mekouar-Schneider as the new President for the period 2018-2020 on July 3rd. Rajaa Mekouar-Schneider is the Head of Syndicate and part of the Investment Team at Kharis Capital, a direct investment firm backed by family offices and dedicated to mid-cap consumer markets with offices in Luxembourg, Belgium and Switzerland. The new President replaces Jérôme Wittamer, Founder and Managing Partner of Expon Capital, who led the association between 2014 and 2018, a period during which LPEA grew from 120 to 175 members. Rajaa Mekouar-Schneider’s priority is to “further promote Luxembourg as a hub for Private Equity, particularly for EU and international investors pondering the idea of establishing investment teams here. These range from established funds and niche players, to Family Offices and entrepreneurs. The same goes for the trusted advisors and service providers. LPEA can greatly contribute to this objective given its active role within the Private Equity community and Luxembourg deserves to be at the center of the map”. The newly elected President has been a Board member of LPEA for the past two years and the leader behind the success of the two LPEA Insights conferences. The 3rd edition is already scheduled on March 19th 2019. Before moving to Luxembourg in December 2015, Rajaa Mekouar-Schneider was based in London where she worked for 15 years in private equity as an investor in such firms as Draper Fisher Jurvetson ePlanet Ventures, Lazard European Private Equity Partners and Change Capital Partners. For additional information please contact Paul Junck, Managing Director of LPEA on lpea-office@lpea.lu / t. +352 28 68 19 602. Members of the Board of LPEA.